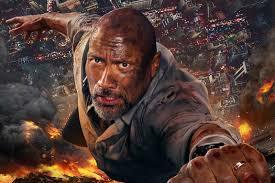 Universal has released a new Skyscraper trailer for the upcoming action film centered around Dwayne Johnson. 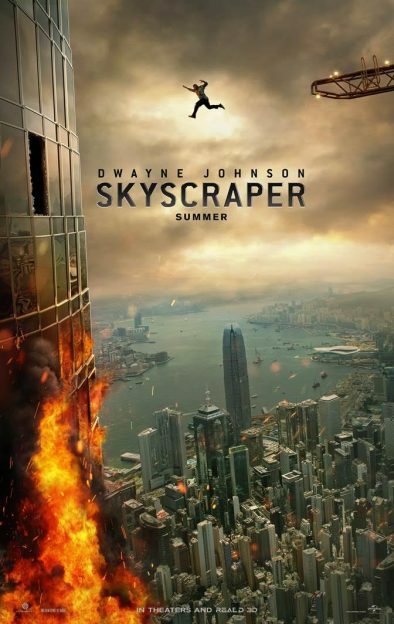 The film is based on an original idea by writer/director Rawson Marshall Thurber (We’re the Millers) and stars Dwayne Johnson as a former FBI Hostage Rescue Team leader who now assesses security for skyscrapers. While assessing the tallest building in the world in China, the thing goes up in flames and he’s being framed for the crime. In a race against time, Johnson must save his family and clear his name. This is, I think, the third official trailer for the film, so this is an extra marketing push a couple weeks out from release. The trailer opens with an extended action sequence in which Johnson jumps out a window, leaps through a fan (that’s also on fire), and then nearly falls off. There’s clearly a lot of action oriented around the titular skyscraper, but I’m curious to see how the story holds up given that these set pieces are clearly very augmented by CGI. Check out the new Skyscraper trailer below. The film opens July 13th and also stars Neve Campbell, Chin Han, Noah Taylor, Roland Møller, Byron Mann, Pablo Schreiber, and Hannah Quinlivan.